As paper tax forms are slowly phased out by both the IRS and state revenue departments, taxpayers have been offered more and more incentives to file taxes online â€“ including immediate receipt confirmation, automatic error checking, and faster tax refunds. Experts believe that by the end of the next decade, virtually all federal income tax returns will be filed â€“ and paid â€“ online, through the IRSâ€™ eFile system. 1. What eFiling Options Are Available? In order to eFile your tax return, you need to make use of the IRS's FreeFile program, a suite of income tax software, or a paid tax preparer who is authorized to submit e-Filed returns to the IRS. There are dozens of popular software suites and filing services available - which one you choose should depend on your yearly income and the complexity of your tax return. Here are some of the most popular options available for preparing and e-filing your federal or state tax returns. Some private companies, in affiliation with the IRS, offer free eFiling software for individuals with simpler tax returns. TurboTax (see below) is one such company. No free eFiling software is available through this program for individuals with an AGI of over $57,000. Not all states support free e-filing in this way. The IRS provides digital forms that can be used to eFile your own taxes, without the use of any tax preparation software. There is no income or complexity limit to use these forms. Keep in mind that these forms offer limited assistance in calculating or verifying your tax burden, and should only be used by experienced tax preparers. TurboTax is the most popular brand of income tax preparation software in the United States, which provides both free (basic) e-filing services and paid tax preparation software for taxpayers with more complex tax returns. Basic tax returns (Form 1040EZ) can be e-filed for free through TurboTax's software interface. Several premium editions of TurboTax exist for users who need to claim itemized deductions, investment income, and small business income. H&R Block At Home, previously TaxCut, is TurboTax's main competitor. As the name implies, H&R Block At Home is published by H&R Block, one of the largest tax preparation firms in the United States. H&R Block At Home is based on the same software used by professional tax preparers in H&R Block offices nationwide, and provides a more affordable tax prep option for individuals who wish to prepare and e-file their own taxes. You can have your state and federal tax returns e-filed for you if you use a professional tax preparer to help complete your tax return. 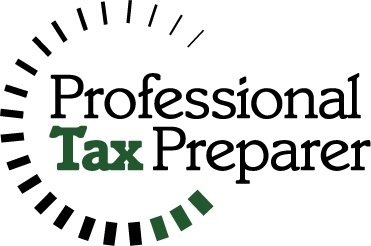 Professional tax preparers include specialists at tax-prep firms like H&R Block and Jackson Hewitt, CPAs from money management and financial services firms, and individual licensed tax preparers. A professional tax preparer can be a great asset, especially if you have a complicated tax return, but using a paid preparer will almost always be more expensive then buying tax software and e-filing your own return. 2. Which E-Filing Option Should I Choose? If you can't decide which of the options listed above are best for you, try to find the situation that best describes you below for our advice on weighing your e-filing options. If you have a complicated tax return and don't have the time or experience to file your own taxes, a paid tax preparer might be the best choice for you. A paid preparer will sit down with you individually and complete your tax return on your behalf, and attempt to help you minimize your tax burden through qualifying deductions and credits.